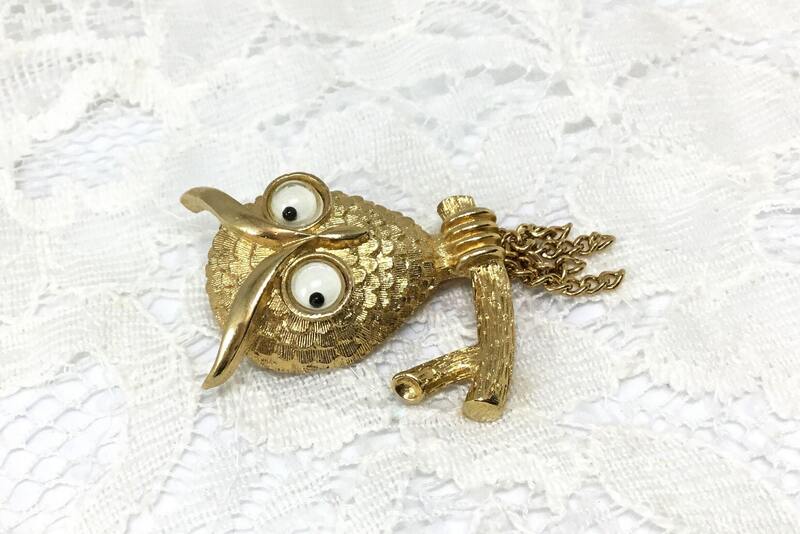 This is a 1970s vintage goldtone signed AVON Owl brooch. 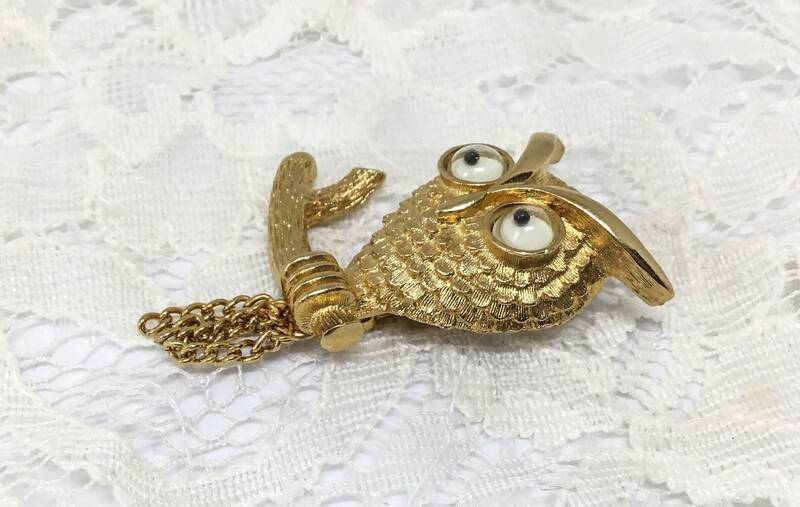 This cute guy has google eyes and a four chain dangle tail. 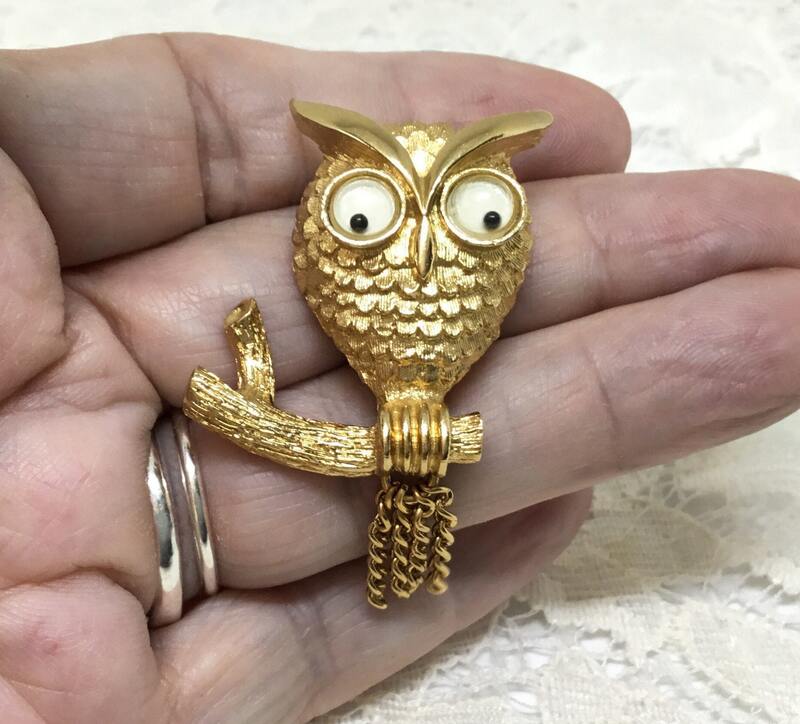 The goldtone has great detail in the branch and owl’s feathers. 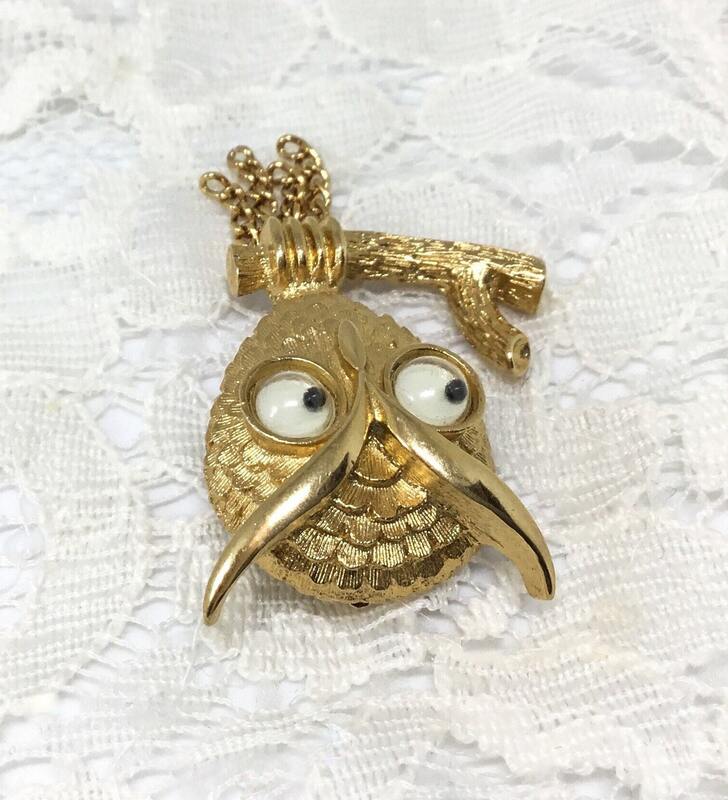 This whimsical owl has great appeal and is very collectible. 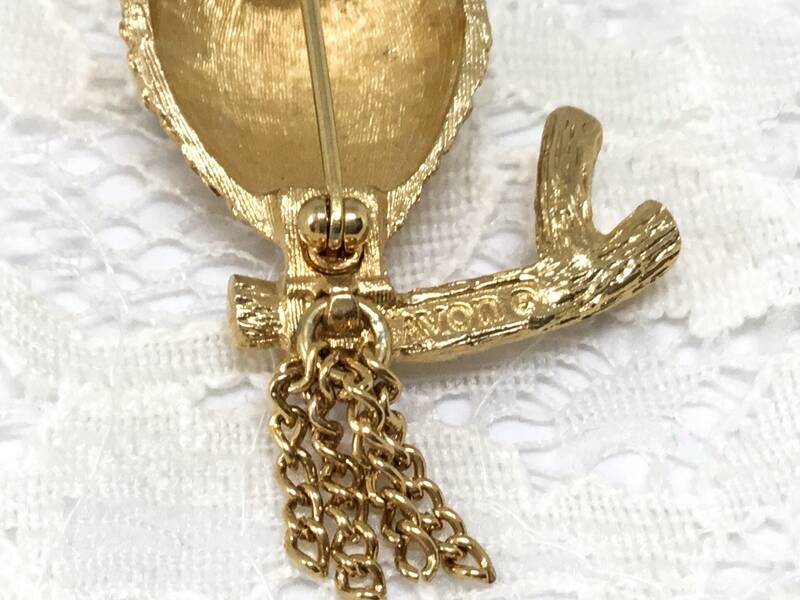 It measures 1” x 1 7/8” and the pinback is straight and works smoothly and securely. 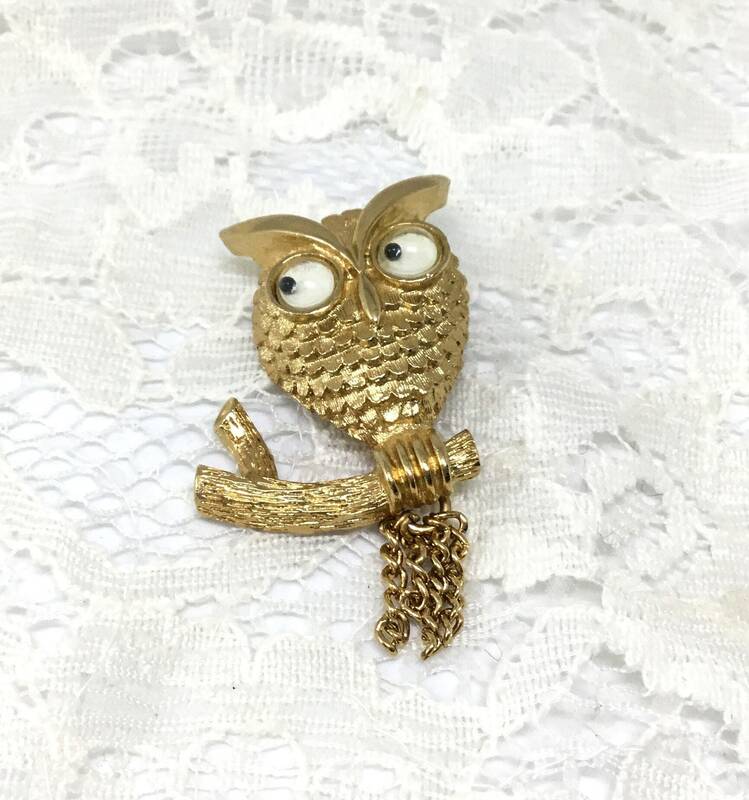 A wonderful and adorable brooch for owl lovers!